So far on this journey of twelve presidents and fifty-six biographies I’ve been surprised at how interesting I have found the lives of our former presidents. From the most-revered (Washington and Jefferson) to the unsuccessful (John Tyler comes to mind) to the infamous (that’s you, Andrew Jackson) I have never been disappointed. Until now. Unlike several earlier presidents such as John Quincy Adams and Old Hickory, Zachary Taylor’s life was not tailor-made for a great movie, or an exciting biography. I should have known something unsatisfying loomed when biographer K. Jack Bauer wrote in his introduction that “Taylor’s career…was not only unexciting, but mundane and boring.” That appears to be the understatement of the year. Note-to-self: when an author warns that his subject’s life was boring…time to fertilize the lawn or re-caulk the bathtub. Nevertheless, Taylor’s life is instructive for what it can mean to find one’s self in the right place at the right time. He dedicated nearly his entire adult life to the U.S. Army (tolerating decades of drudgery, accented with a few moments of excitement) and was asked to lead American troops in the Mexican War. Having succeeded – or at least persevered – in that effort, the Whig party selected him as their presidential nominee. This seems to have been due to the fact that his narrative resembled that of successful Whig candidate General William H. Harrison eight years earlier rather than his finely-honed policy positions or political instincts. Like Old Tippecanoe, Taylor was a patriot and an apparent American hero, and that was enough to get elected president in 1848. But it wasn’t enough to escape the death curse of Whig party soldier-presidents. General Harrison, of course, had died just one month into his presidency. General Taylor managed to last sixteen months. For the casual reader of presidential biographies (or someone looking to read something about Zachary Taylor), Eisenhower’s book will prove both interesting and more-than-adequate. But anyone requiring a more intensive exploration of Taylor’s life will find Bauer’s biography the preferred route of study. And…this is great weather for reading! I knew next to nothing about Zachary Taylor prior to reading his biography, so I was really looking forward to learning about him. I chose Holman Hamilton’s two volumes, Solider of the Republic and Solider in the White House. I enjoyed Hamilton’s writing style and the breadth of his research about Taylor. I personally would not consider Taylor boring, his military experience was interesting and although he was not a politician prior to being elected president, within his short-term he was the first seemingly “independent” president. Although he was only in office a little over a year, he was determined to set his own agenda. By no means would he have solved the growing secession issues, but I think he would have been a more valuable executive than Fillmore ended up being. I’ve heard good things about Hamilton’s series (though not before I finished reading biographies of Zachary Taylor in early 2014) so I’ve added the two volumes to my follow-up list. Taylor’s birthplace is only about 30 minutes from where I live and I have to admit…his life story is more interesting than I originally suspected. I don’t own any bios yet on Taylor and am looking at the two volume Holman set, namely the nice Easton Press edition. I appreciate the comments here about this set, as it’s between this and the Bauer volume, but I generally tend towards the more detailed bios (I own the complete 6 volume Hoover set), but only if they are well researched and written. 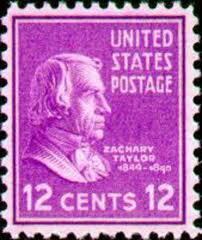 Whichever bio(s) you read of Zachary Taylor, I’d be interested to know what you think! …and I’m jealous you’ve got the complete Hoover set. Obtaining that series is a priority for me since I really enjoyed (much to my surprise) reading about him, particularly prior to becoming president. 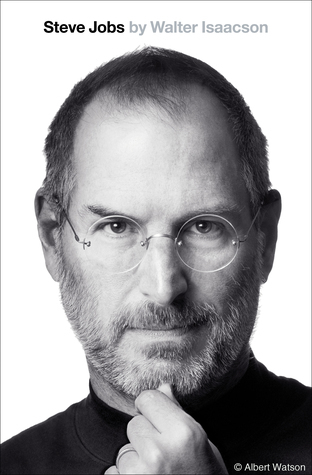 A well-researched and insightful series on him could make for a compelling read. I’ll let you know! I probably won’t get to them for several months, I am backlogged in my reading right now. As for the Hoover set, it took some patience to wait for affordable copies, but I was able to complete it without paying more than $30 for any volume. Some of the newer ones are regularly over $50. I set price watches in Amazon, and after several months finally received notification that copies were available for cheap, so I bought them immediately. I haven’t read all 6 yet, but have read the last two, which were fascinating and impeccable scholarship. The research was very thorough and the narrative wasn’t the most engaging, but certainly engaging enough. The volume on his presidency, “Fighting Quaker,” has been the best overview of Hoover’s presidency that I’ve yet read, and I’ve read most treatments of his life, including the newest from a couple months ago that does focus just on his presidency, “Herbert Hoover in the White House: The Ordeal of the Presidency.” Anyways, good luck in finding affordable copies of the later Hoover volumes! I can recommend them with high marks and praise. This is the first I’ve seen of your website. It is a nice service. I must, however, differ with you on your recommendations of Taylor’s biographers. Taylor’s truly definitive biography, Holman Hamilton’s two volume series is only mentioned in the comments. Unfortunately, I found Bauer’s biography to more damning with faint praise, and in some cases outright biased reports, that either of the other biographies. Holman Hamilton’s 2 volume biography is much better, as is Eisenhower’s who had military experience to back up his assessments, as well as unfettered access to another General President — his father. Bauer is very critical of Taylor’s generalship during the Mexican-American War and doesn’t give a full picture, only what suits his version of the story. From memory (mine of his book which is two months old), he continually faults Taylor for not following up his victories with a final coup.. He is most critical is Taylor’s last victory at Buena Vista. The only way that Taylor was able to win this battle was by using a strong defensive position close to Buena Vista. in this battle, Taylor was outnumbered over 3:1 by Santa Anna. In addition the vast majority of Taylor’s troops and officers, most importantly his experienced regulars, were taken by General Scott for the Veracruz to Mexico City southern theater campaign. Taylor was left to fight with raw volunteers and some handful of regulars that he had not commanded before. To attempt to follow up a victory where you have lost less causalities on an absolute basis, but more on a relative basis and still have a greater than 3:1 disadvantage, and meeting your opponent with no defensive advantage and a field not of your choosing would be suicidal,and yet this is what Bauer expected Taylor to do. Interestingly enough, Taylor was faulted by President Polk alternatively for either not going far enough and then going too far. But in this case Polk felt that Taylor had gone too far and was not supporting him with either troops or enough supplies. In addition Santa Anna was retreating into a flat desert where Taylor would have to extend supply lines further and was subject to a Santa Anna “scortched earth” policy. Bauer also faulted Taylor for not being at the battle as it started because Taylor was checking and fortifying his supply depot to the rear. That was wise, as the battle eventually made its way to just where Taylor was checking. In addition Taylor was aware that Mexican cavalry dragoons were harassing his supply lines, and by this time Taylor was deep into a foreign country — the first time in the history of the US that it was deep in a foreign country, and the longest supply lines the US would have until the World Wars. Taylor was wise to be checking his supplies as if these were overtaken his army would have been destroyed, something an old Indian fighter would understand, but not some history professor,. As it was, Taylor’s string of strong victories in Northern Mexico culminating in the victory of Buena Vista against Santa Anna were the decisive victories of the war. By the end of Buena Vista, Santa Anna’s army was rife with morale problems and desertions. He would never again be able to recruit for his defense in the South and the people of Mexico were no longer with him. Bauer also uses a quote of Secretary of War Marcy that is highly disparaging of Taylor. From the positioning of the quote one thinks that Marcy should have known, except that Marcy was a political hack who like Polk was desperately attempting to find a way to give a Democrat credit for any victory. In addition, Marcy To denude Taylor’s advanced positions of most of his troops was unconscionable, particularly when he was this far in enemy territory. I would implore you to do a bit more research before you state that some biography, such as Bauer’s, is a definiitive one. Bauer’s is certainly not. He obviously has biases. I would recommend David Lavender’s Climax at Buena Vista for the most detailed and definitive description of Taylor’s campaign in northern Mexico. While Bauer did bring up some interesting points, like Taylor’s later investments in banks rather than plantations later in life, he did not provide a large amount of new facts. Part of the reason for this is that the most important of Taylor’s papers were destroyed in the Civil War when his son’s plantation, General Richard Taylor. Thus newer biographies have very little new information. The definitive book on Buena Vista, has plenty of government documents and personal accounts to provide excellent and accurate descriptions. Of all the Generals in US history to prosecute campaigns Taylor was more outnumbered, with less supplies, further from home, that any other general in history. Neither Bauer, not Eisenhower recognize that. While Holman’s style is a bit syrupy early on, it is very good. I just finished up the 2 volume Holman Hamilton Taylor biography, and I found them to be well written, very thoroughly researched, and overall they seemed quite fair. Unfortunately Taylor didn’t leave behind a large written record (both private and public), so piecing together his personal views on many subjects requires more effort on the part of the biographer, and there are plenty of gaps. The second book, “Soldier in the White House”, was more interesting as it covers Taylor’s time in the White House as well as the surrounding political landscape of events that occurred during his presidency, in some detail. In many ways I found this book to be more about the ‘times’ of Taylor’s presidency than Taylor’s presidency itself. Hamilton expounded on many events, in great detail, then would circle back and tie in Taylor’s perspective on the issue. It’s as if for many events in the book Taylor was a spectator, not an active participant, which may be the reality of what happened. Overall, one gets the sense of what Taylor was like, but without a lot of first-hand accounts from Taylor himself, I came away not really having a solid understanding of the man himself, which is a shame, after reading 1000+ pages of biography. I don’t think these are easy books to get through, and not overly entertaining. But they are fairly informative, and as always, it’s interesting to get another perspective on major events of the time from a key player. I feed I got a pretty good sense of Taylor, but as I’ve seen, and you’ve alluded to in a number of cases, the size of the book doesn’t always correspond with the reader’s sense of understanding the person. Some of the shorter books ironically do a better job than the longer books, though admittedly, that’s not the typical case. I’d be curious about your feedback when you finish this series. As an aside, I’ve been reading presidential bios sequentially now for a number of months, and am just starting Lincoln (yay!). I’m no longer the least bit intimidated by large books. At this point, anything under 500 pages is not too big, whereas I remember thinking years ago that McCullough’s “John Adams” was big. Have you noticed a similar affect? The confidence I’ve gained from so much reading is an unexpected side effect, and I’m wondering if you experienced something similar? I’ve definitely noticed that the length a book must be in order to intimidate me has grown substantially since I started this journey. By the time I read Burlingame’s two-volume biography on Lincoln (about 1,600 pages) I realized that as long as a book is engaging and stimulating…the longer the better! But there have been notable lengthy “misses” as well (I really didn’t enjoy Sandburg’s series on Lincoln…and at 3,300 pages that was quite an investment). If you want to read something to give you an idea of Taylor the person in his own voice or hand, I would suggest the Letters of Zachary Taylor, edited by William Bixby. It is compendium of his letters from the field in Mexico. I just re-read parts of Smith’s bio of Grant. His description of Taylor is excellent. He mentions his sang froid which was very important. I mentioned this earlier, but with the possible exception of Washington, the career generals that became President are treated poorly until recently with both Grant and Eisenhower. When one steps back and looks. Taylor probably has the best winning record under trying conditions that any other General. He won essentially all of his Indian War battles in difficult terrain and conditions. He figured out pacification. In Mexico he was the first US general to invade a foreign country. His first two battles were in the open iwth no advantage and yet he was significantly out numbered. He won those. His next battle was attacking one of the strongest naturally fortified cities and still outnumbered. He won. His last battle, his largest he won with most of his veterans taken away to be given to General Scott. For the most part, he had raw volunteers. He was outnumbered by over three to one and it was a hastily prepared defensive battle. He won that convincingly, but didn’t follow it up for good reason. he was still outnumbered with very poor supply lines and was not supported well by President Polk or his Army. to do this he would have been forced to follow his enemy further into Mexico through a desert with no external sources of supply with his own supply lines at risk with no support from his country. This would have been suicide, and yet one of his biographers faults him for not doing so–Bauer, who was supposedly an expert on the Mexican War.